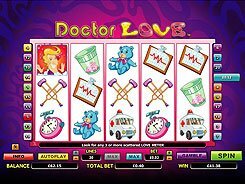 Starlight Kiss is a love-themed video slot with 5 reels and 30 paylines. The game features a pack of romantic symbols like chocolate candies, a handwritten letter, a lady, a young man, a mansion as well as stylishly designed playing cards from 10 through Ace. 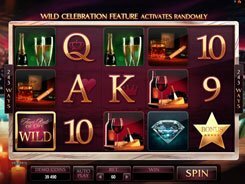 The betting range of a penny to as high as $150 per spin will appeal to low bettors and high-rollers alike. 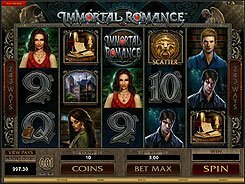 The slot has a wild symbol, two scatters, free spins and a romantic bonus round. The maximum payout is 40,000 coins awarded for hitting five wild symbols across an enabled payline. 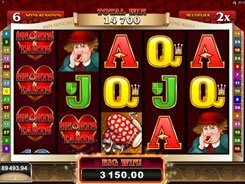 Three or more scattered Mansions activate 14 retriggerable free games with all wins multiplied by x2. There is another bonus feature unlocked by three symbols depicting an embracing couple and marked “Bonus”. You will be taken to a moonlit park full of flowers, with two beloved sitting on a bench. Your task is to pick 3 of 10 items, each awarding an instant cash amount or a number of hearts. The hearts will fill up the meter and increase a multiplier value that will then be added to your bonus win.